This topic shows how to create a simple “Hello World” application using the SDK. 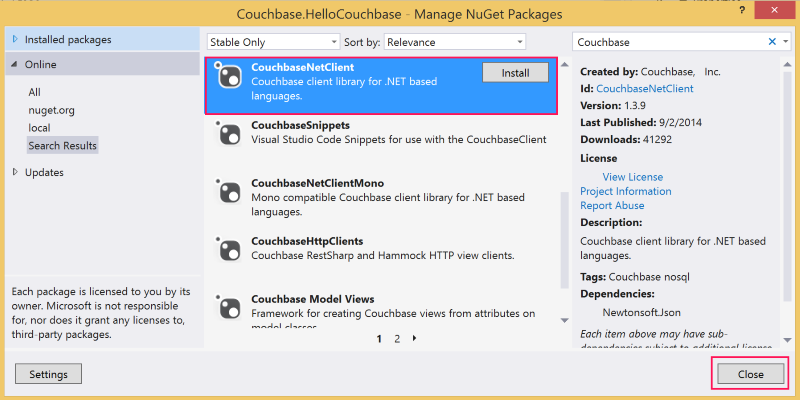 It's a quick 5-minute introduction to the Couchbase .NET SDK that just covers the basics and doesn’t go over advanced features of the client. 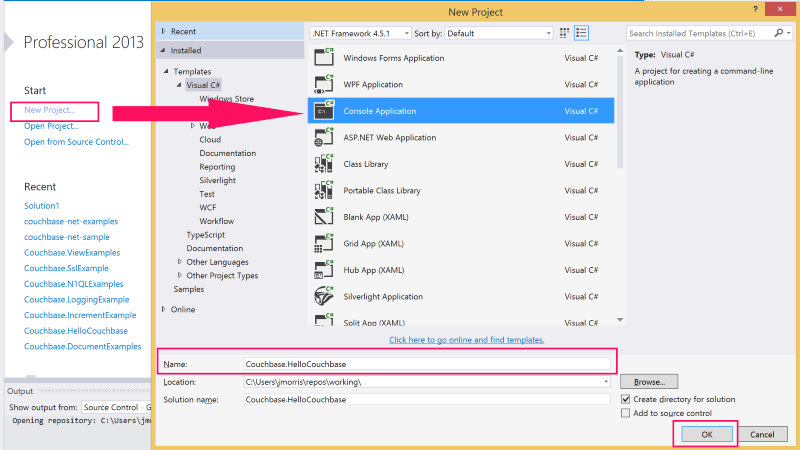 Before starting this tutorial make sure you are comfortable creating a Visual Studio project. The default OpenBucket() overload with no parameters opens the default bucket. Additionally, because the default constructor is used to create the Cluster object, the app connects to the localhost ( 127.0.0.1 ) instance of Couchbase Server. The CouchbaseBucket object (as well as the Cluster object) implements the dispose pattern. Because of this, the instance is wrapped in a using statement, which means that the internal resources allocated by the instance will be reclaimed as the bucket instance goes out of scope. Managing the lifetime or scope of these objects is critical to developing high-performing, robust applications with the .NET SDK. Congratulations, you have successfully created the Hello Couchbase Tutorial! The full source can be found on GitHub .